Kelley Williams has always been a businesswoman at heart. She had a leaf-raking business at 8, a graphic design business at 12 and by high school she had launched Go Ballooney, a balloon animal making business, with her sister. Her parents were entrepreneurs who allowed her to cultivate her inner CEO. Williams went on to earn a business degree from Howard University and then to work in digital marketing in New York until she felt a calling to spread the word to children about the STEM fields: science, technology, engineering and math. “You don’t need another girl that wants to be a ballerina and another boy who likes to play with trucks or who wants to be a superhero,” she says. 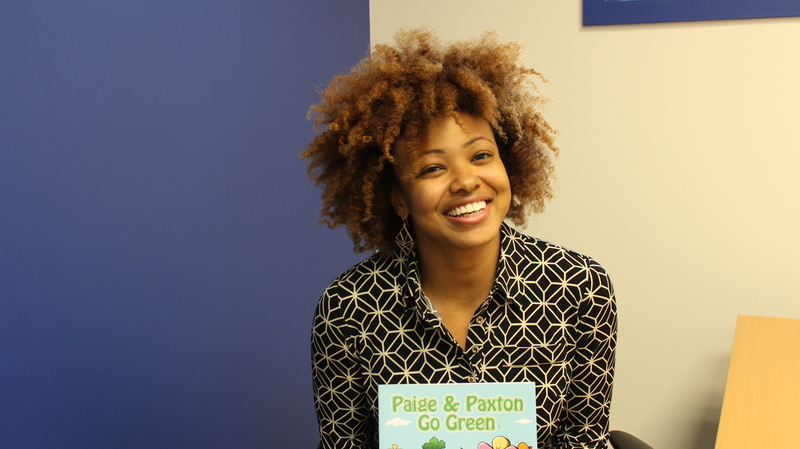 She and her mother, Rachel, created the Honey Bee Co., which creates and distributes the Paige & Paxton children’s educational book series. 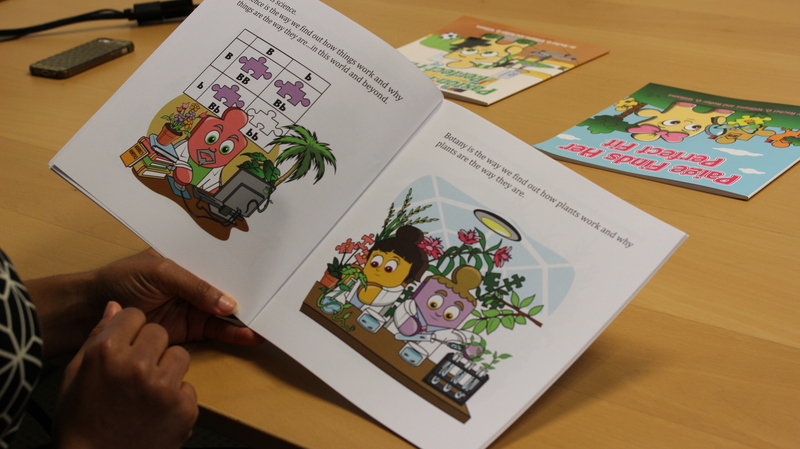 The books follow the two characters as they learn about STEM. “We thought that children needed characters that were interesting, who thought a little different and used a different part of their brain,” says Kelley, who’s 26. The company, founded in 2012, partnered with Chicago Public Schools to distribute its products throughout local schools. Kelley is working with developers to create Honey Bee’s first app, set to be released in 2015 and aimed at engage children with the company’s storybooks and make reading more fun, she says. Kelley’s bubbly laugh echoes down the hall of the Honey Bee Co. as she talks about two puzzle-piece characters from the company’s Paige & Paxton book series. Her bouncy auburn afro frames her face as she leans in to flip through a book. She’s animated as she explains how the characters in the book are learning about the photosynthesis process. Her black-and-gold dress offsets her brown skin. While pointing to a page in the book, Kelley reminisces about her own childhood. Rachel created the characters as a teaching tool when Kelley was a child. Kelley remembered how much they resonated with her when she was a child, and they both wanted to bring them back to life. Paige is into science, while Paxton loves technology, and the books fill an educational gap by targeting preschoolers and kindergarteners. Math and science anxiety can happen early, she says. As a young, driven entrepreneur who’s also a minority, Williams has faced some challenges, like being scrutinized for her appearance or her chances for success. The Honey Bee Co. doesn’t have a typical business partnership dynamic. The mother-daughter co-founders bring their own expertise from different ends of the spectrum. The duo write the books and ensure the storylines are both educational, fun and less intimidating than traditional methods of learning about math and science. One of the books, “Paxton Finds His Perfect Fit,” was funded through Kickstarter in 2013, exceeding its goal of $3,500. “There’s such a big gap with STEM at that level, and that’s one of the reason’s why CPS developed that partnership with us, because a lot of students weren’t interested in STEM, or they thought it was too hard,” Kelley says. Though making the switch from corporate marketing to entrepreneurship was a challenge, overcoming the obstacles was worthwhile, Kelley says.